Companies are researching you. Identify and connect with them now. Enable your team to identify what companies have visited G2 and viewed your product page, your category page, or a comparison of you and a competitor in order to reach out to prospects at the right time and prevent current customers from churning. Know when prospects are researching you and your competitors on G2 in real time and quickly route leads and send pageview information to your team. Be aware of current customers researching new tools who may be considering switching and understand what other products/integrations are helpful for your customers to preemptively meet their needs. Target companies searching in your category with account-based marketing campaigns and set up drip campaigns based on actions your prospects are taking. Learn more about G2 Buyer Intent. Empower your sales and marketing teams to identify companies actively seeking solutions, allowing them to proactively provide prospects with the content they want. Know what companies are researching similar solutions and interacting with your profile on G2 in real time with Buyer Intent data and proactively reach out. Integrate data into marketing campaigns and scoring to deliver key content as prospects conduct research. 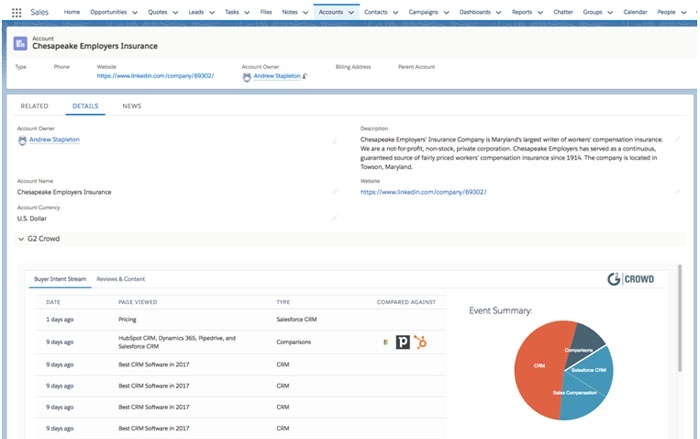 Enable your sales team to easily share G2 verified customer reviews and reports to prospects right from the Salesforce account. Empower sales to build and distribute custom reference pages featuring approved testimonial content. 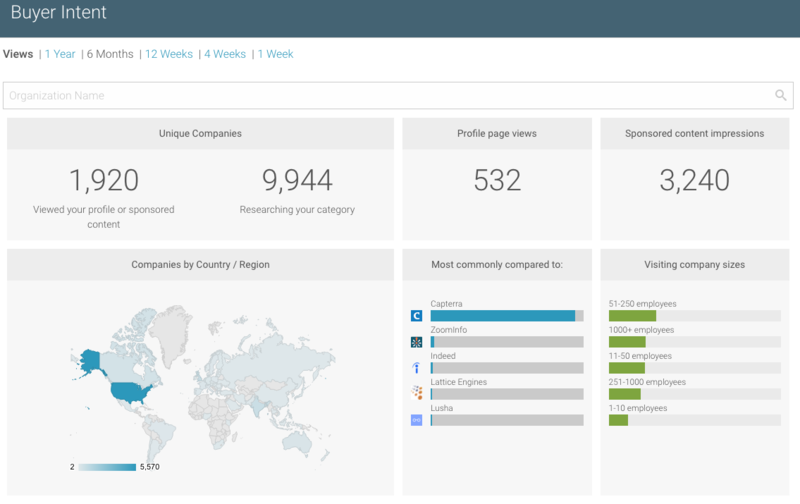 Create custom dashboards to monitor and request reviews at the most appropriate time. Map customer reviews to accounts in Salesforce to easily identify brand advocates and at-risk accounts. The G2 Crowd Connector is available on the AppExchange. Constantly stay a step ahead with tailored comparative analysis of your business and closest competitors. Easily collect the insights that are often difficult to uncover -- but vital to enhance your products, services, and competitive market position. Uncover the in-demand competitive intel on product, pricing, and positioning movements to better understand - and win - in your category. Understand why customers switch from one product to another to determine updates to product, personas, positioning, or messaging. Identify feature gaps between you and the competition - and find strategic opportunities to differentiate, innovate, and win. 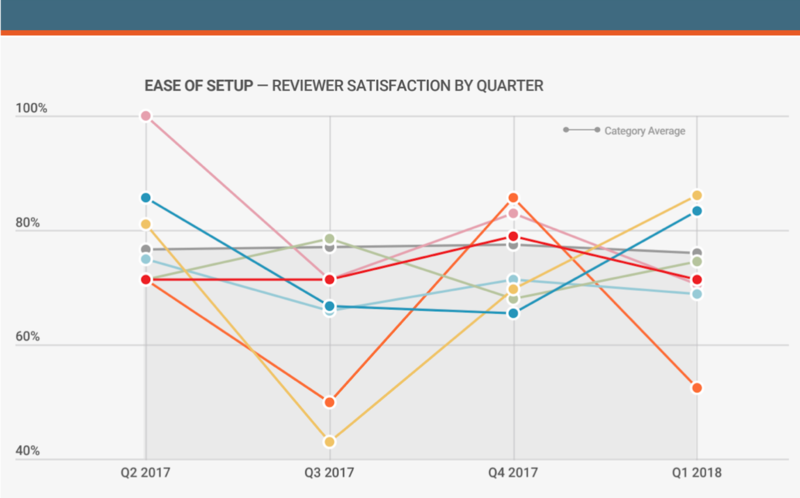 Learn how new products and features affect user experience and satisfaction to supplement data collected in NPS surveys. Learn more about the G2 Insight Subscription.